Our job is to keep ahead of nature best efforts and prepare your roof for the worst. We use a blend of roofing expertise, new products, preventative maintenance, repairs and when necessary, replacement. We work with our customers to outwit water. Don't Wait, Until it's Too Late! Inspect and Repair Your Roof Today! Our family has been solving roofing problems for generations. Our expertise covers roofs of all shapes, sizes, materials and conditionsâ€”both residential and commercial. 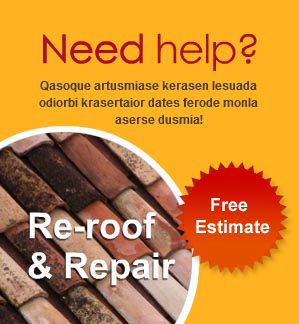 Roofing Service We offer Roofing Services Vancouver, Roof Repair Services, Asphalt Shingle roofing service, roofing Vancouver, roofing surrey, emergency roof repair, Burnaby roofing, Abbotsford roofing, Langley roofing, Richmond roofing service, roofers Vancouver. We are experienced in every facet of roofing. Whether you have steep, sloped or flat roofing, we can complete your construction and repairs. We are pleased to offer a full range of services including emergency roof repair, free roof repair estimates, roof inspections, roof maintenance programs and consultations. Torch On Membranes : For flat and low slope applications. This is the most popular choice for replacing old tar and gravel roofs. We are a certified Soprema installer. There are various degrees of quality, and we come out on top for long lasting, consistently well performing products. Shingle Roofs : With the newest change in asphalt shingle technology comes the Fiberglass Laminate shingle. These shingles are remarkably cost-effective. We are an authorized GAF-ELK applicator and provide an upgraded Manufacturer warranty. New Roof Installation : Getting a new roof on a flat city house is more than sticking a new layer of waterproof material on top of the last layer. All the roofs ever installed are probably there too and they have to be addressed. We use selective removal of existing layers to re-slope the roof surface to get rid of water puddles and other raised areas that restrict the downhill flow of water. Roof Maintenance : All flat roofs are more prone to damage and leaks than sloped roofs because water, snow and ice spend more time on them than their sloped cousins. The houses are attached by common party walls that share chimneys and sometimes drains. A problem on one side of the party wall can quickly become a problem on the other side. They are also usually unseen from the ground so even a conscientious homeowner will be unaware of a potential leak until it becomes an active leak. we provide a full line of drainage services all designed to protect residential and commercial projects from damaging water infiltration into basements, landscaping, commercial underground parking, etc.